An armed yacht formerly named Waturus, Hochelaga was purchased in the U.S. in 1914. She served as a patrol vessel from 13 Aug 1915 to 1920, and from then until 1923 took up coastguard duties. On 25 Aug 1918, HMCS Hochelaga ex-Waturus sighted U-156 on the surface off Halifax, but instead of attacking, in accordance with standing orders, retired towards the rest of her patrol group for 'support'. The submarine submerged & was not re-located. 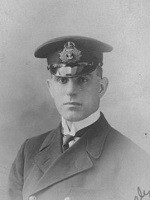 HMCS Hochelaga's Commanding Officer was later court-martialled & dismissed from service. 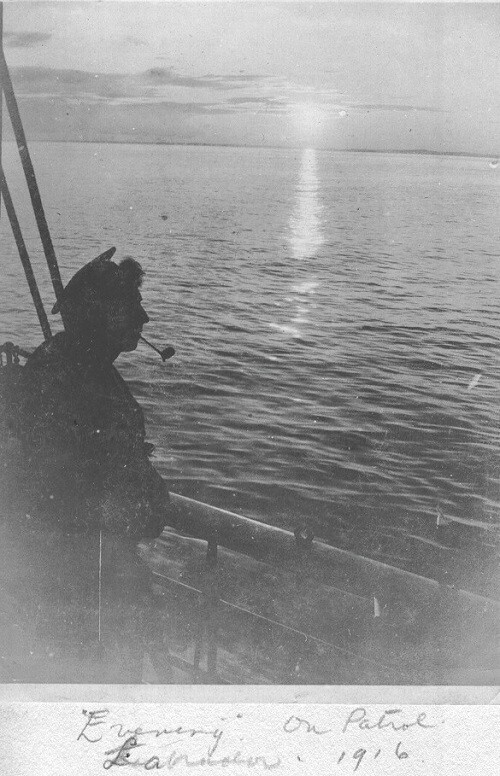 This was the only occasion during WW I that the RCN encountered a German U-boat. 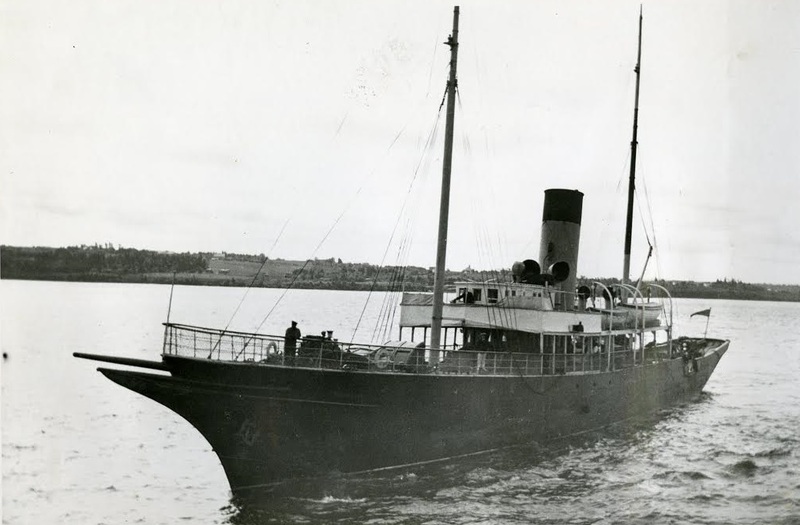 After WW I, she spend many years as a Pictou-Charlottetown ferry and was sold in 1942, to reappear briefly four years later when she was seized by the RN as an illegal Israeli immigrant ship. On 31 Jul 1946, HMS Virago detected two vessels on her radar, and passed the details to the Officer on Watch. One vessel was on the list of suspect ships, and so they boarded, but found everything in order. The second vessel was overlooked, until the Officer on Watch aboard HMS Saumarez spotted a suspicious vessel approaching the entrance to Haifa harbour. HaChayal HaIvrit was intercepted by British destroyer, HMS Saumarez, and a pilot, police and boarding party from HMS Saumarez were sent aboard in rapid succession. The British detained the passengers at Atlit Detention Camp. "On 15 Jul 1946, Hochelaga set sail from Antwerp with more than 500 Holocaust survivors, bound for the Palestinian port of Haifa. It cannot have been a pleasant voyage, on an aging ship originally built to carry less than 100 souls, and stuffed to overflowing with coal, since the illicit nature of her voyage prevented refueling stops. Still, she reached Haifa safely at month’s end, and was practically in the harbour’s mouth when finally intercepted by British authorities. 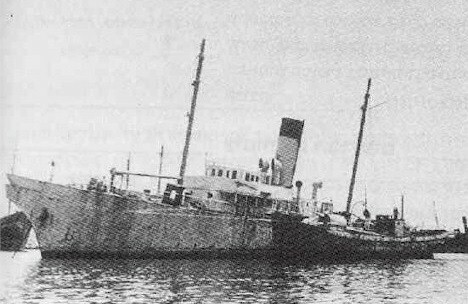 The ship and all aboard her were placed under arrest, and although the passengers would eventually leave British custody for new lives in Israel, the former Hochelaga, now bearing the heroic moniker Ha’hayal Ha’ivri, “Hebrew Warrior”, was less fortunate. She spent two years rusting away under British arrest in Haifa, and when Israel came into being in 1948, the new state lacked the time and resources to preserve the ships of the “Shadow Fleet” that had carried some 120,000 souls to the Jewish homeland. The former Hochelaga was scrapped in 1950, less than a decade after she last set sail from the green shores of Prince Edward Island." The Hochelaga started life as the Waturus, a private yacht of a member of the Austro-Hungarian royal family and was later owned by an American millionaire. At the outbreak of the war the Canadian navy had a critical need for ships of all sorts and sizes and the yacht was purchased for $70,000 in 1915. Sailed by a civilian crew to Halifax she was placed under naval command and sailed for Montreal to be converted to a naval vessel and armed.  By September she was on coastal patrol based in Sydney. For the rest of the war she operated out of Halifax and Sydney but visited ports such as Louisburg, Cheticamp, St. Lawrence Bay, Gaspe, Quebec and Montreal. There is no indication that she ever visited P.E.I. ports during this period. The official report also fails to mention the time when the captain of the HMCS Hochelaga was court marshalled for his failure to pursue a German submarine. A somewhat shabby HMCS Hochelaga, probably near the end of the war. Surplus to needs at the end of the war she was paid off to reserve fleet early in 1919 but was re-commissioned in July of that year in connection with the arrival of the Prince of Wales in Quebec and a cruise by the Governor General in the St. Lawrence and Saguenay Rivers. The ceremonial duties ended in October when she received orders to board two inspectors of the Government Radio Service (operated at the time by the Naval Service). She visited wireless stations along the St. Lawrence and the North Shore where equipment was inspected and supplies landed. She reached Halifax in early November 1919. During that winter along with trawler HMCS Arras the Hochelaga was employed clearing ice from harbours such as Shelburne and Sheet Harbour. In January 1920 she was based in Canso to “assist fishermen off that port in case of distress” a role that the Canadian Coast Guard was later to play but at the time was one of the additional duties of the navy. Owing to funding cutbacks after the war there were no resources for manning the ships with naval crews and at the end of March 1920 the White Ensign was hauled down and the ship was re-commissioned as the Canadian Government Steamship Hochelaga with a civilian crew under the Blue Ensign. The CGS Hochelaga was re-fitted as a yacht for the Governor General and the Duke of Devonshire embarked in July 1920 for an extended tour of the Gulf of St. Lawrence ports. This harmless excursion was the basis of a diplomatic eruption as the Governor of Newfoundland was also at sea in HMS Calcutta commanded by a British Rear-Admiral. When the Calcutta encountered the Hochelaga in Newfoundland territorial waters the Newfoundland Governor was affronted with the infringement of the sovereignty of his domain and the ensuing wrangle between two representatives of H.M. King George V went on for several months. SS Hochelaga in Pictou. Photo courtesy of Charles E. Frohman Collection/Hayes Presidential Center. Following that voyage CGS Hochelaga was finally paid off on 30 October 1920 although a captain was kept aboard through the winter along with four stoves to protect the fancy furnishings from moisture. She was not sold until 1923 when John Simon of Halifax bought her for $11.000 and she became one of the Island’s links with the mainland.